This packet yields approximately 16 plants when started inside. 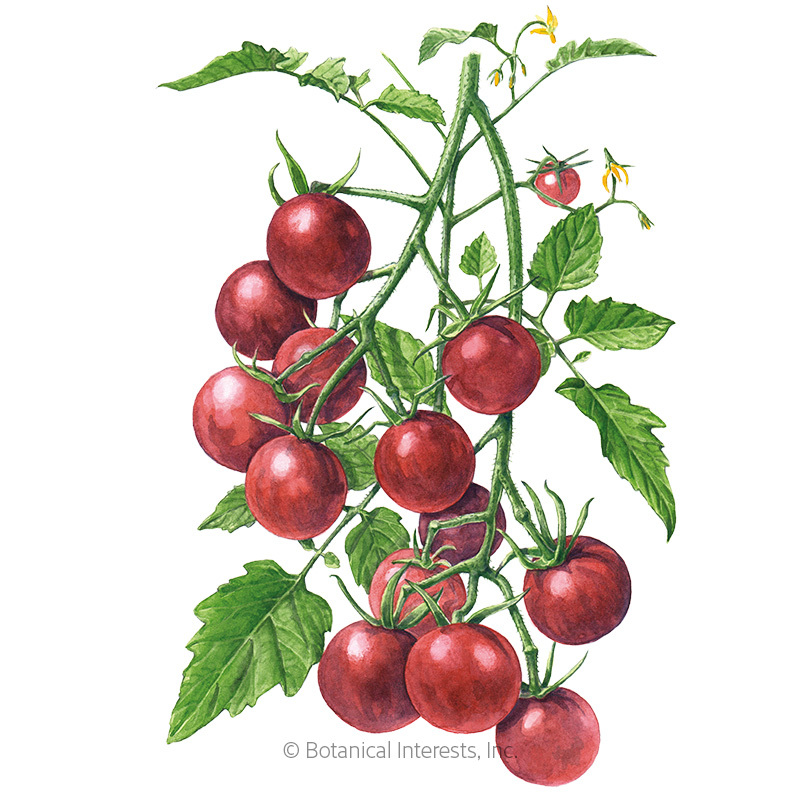 'Chocolate Cherry' tomatoes—doesn't just the name make you hungry? 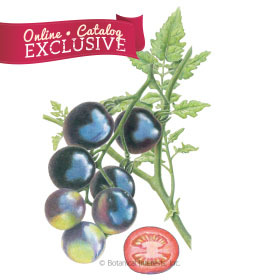 These 1" purplish-red, delectable tomatoes are great for snacking on and add a little sweetness to salads and pastas. The prolific vines bear seemingly endless trusses with 6–8 crack-resistant fruits that will keep you coming back for harvest after harvest. 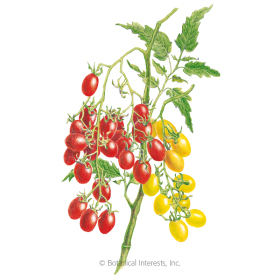 Variety Information: Purplish-red, 1" round fruits in clusters of 6 to 8. Harvesting: 'Chocolate Cherry' tomatoes are at the peak of sun-ripened deliciousness when they are purplish-red, and have a slight give when gently squeezed. A Tomato Lovers Cherry Tomato! These are the best! I know that everyone says that about their favorites but these really are great! 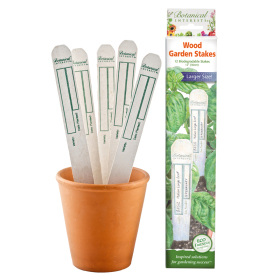 1) They're EASY to grow. Yes, I know tomatoes are fairly easy to grow anyway but really, these seem to produce right off the bat when they reach about a foot tall and keep producing from early summer to late fall (last year I was harvesting til November!). I also can have grown them in a large patio pot and they've done just as well! 2) They're a cherry but they're a good sized cherry. They grow anywhere from an inch to golf ball size and the weird thing is, they're always good no matter if you pick them a bit early. 3) They're meaty. There's still some seeds, of course, but nothing like others, these are beefy all the way through. Because of that you can often slice a few of these for a sandwich and they work great without getting soggy and add flavor. 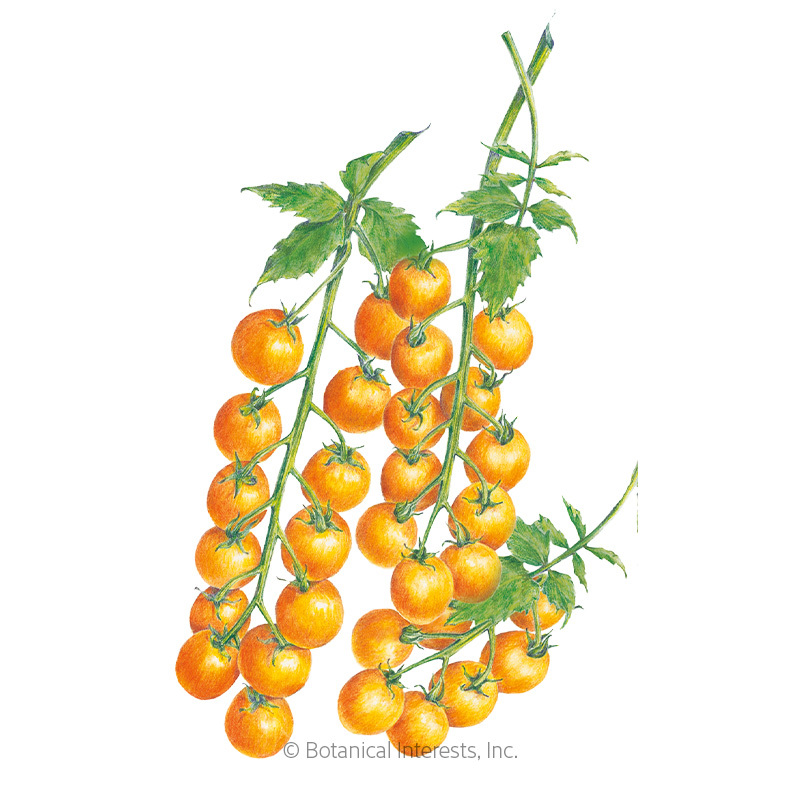 4) Speaking of flavor, They're VERY tomato-y . If you like the actual tomato flavor WITHOUT a lot of acidic notes (the type that kind of sting your tongue), you're going to love these. 5) They're pretty to look at! The color of them is They get these lovely deep deep green to brown-ish shoulders on them that fades into a deep to lighter red at their base.. They're just neat to see in a salad next to maybe a pear or a regular red sweet cherry. Even on a margherita style flatbread or pizza or barbeque kabob! I'm sure there are more reasons to love them (even my little dog loves a little piece every now and then...and she's a picky eater! ), but you really can't go wrong with these. !